PhotoMeets - Where Photographers Love to meet. 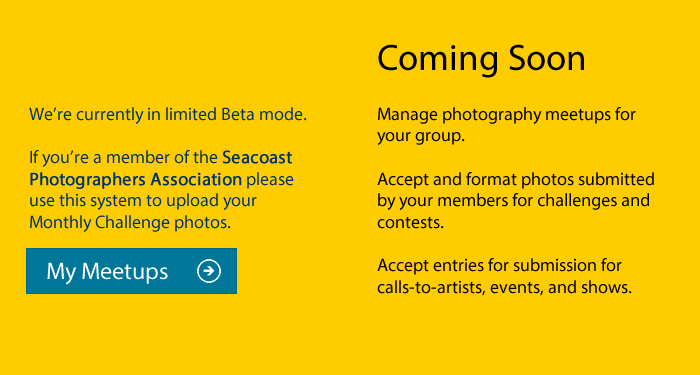 Manage your photo-related meetups, meetings, and shows. Please log in to save time. Ooooh, that's not a real Email Address! Request an invitation - it's free.